A limited number of places may become available for 14+ entry each year. 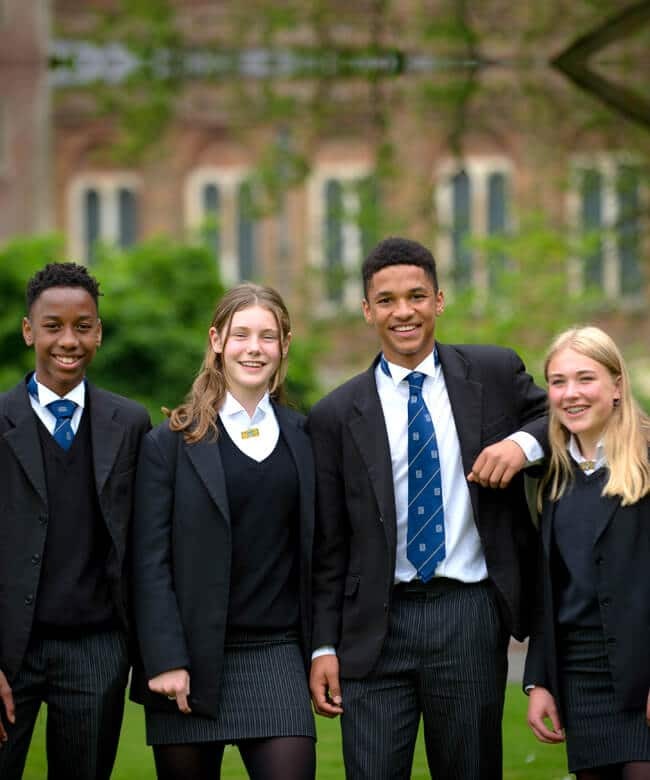 Pupils wishing to join the school at this stage will sit the King’s Entry examination which comprises tests in English, Mathematics, Science and an online aptitude test; these are normally taken at King’s. Arrangements can be made for applicants living abroad to sit the examinations in their country of residence. Alongside the results of these tests, individual character and circumstance together with the ability to contribute widely to the extensive range of co-curricular activities are also taken into consideration. Prospective parents are strongly encouraged to visit the School where they will meet the Registrar and experience a tour with a current pupil. The first step in the admissions process is to Register via the link on the main Admissions page and submit the online Registration Form along with a non-returnable registration fee of £200. The offer of a place will be dependent on satisfactory performance in the King’s entrance examination and interview which may be taken at any time during the year prior to entry. Allocation to a House will be largely dependent on existing vacancies within the year group.